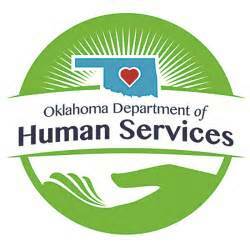 The Oklahoma Department of Human Services announced today the agency will not have to reduce or eliminate service programs for seniors and people with disabilities on December 1 and January 1 as previously planned. Governor Mary Fallin approved $26.9 million in short-term funding for the agency when she kept intact parts of the revised budget bill on November 17. “This funding allows us to stop these devastating cuts and continue providing critical services beyond December 1; however, we are still $42 million short of a balanced budget,” said Ed Lake, DHS Director. “We will be working closely with the administration and legislative leaders in the upcoming weeks as they work to develop funding solutions for these services. DHS will begin sending official notices this week to service recipients and providers in the Advantage Waiver program, Adult Day Services, Developmental Disabilities Services (DDS) Adult In-Home Supports Waiver, and DDS Sheltered Workshop and Community Integrated Employment programs. Agency leaders are working to determine exactly how long the agency can sustain these programs with the current funding and plan to release more details in the upcoming weeks.